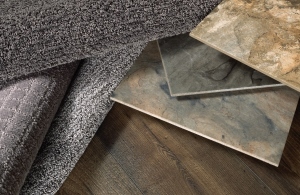 Our showroom sales associates can assist you with selecting the flooring and tile that works best for you. On everything from flooring and cabinet recommendations to window treatments and colors, our goal is to help make your house a beautiful home. With more than 20 years of industry experience installing flooring, we offer not only expertise, but peace of mind—you know the job will be done right the first time. We install carpet, hardwood, laminate, vinyl, and tile flooring. Not sure of quantities and supplies? Ask about our free in-home measurement and estimate services. We will measure your space to determine accurate material quantities and to eliminate waste. We offer several flexible options for financial assistance, so you can get the floors of your dreams today. Take a tour of some of our great products in our showroom! We are locally owned and operated in Auburn, AL. We’ve been around a while and our track record speaks for itself. Our team of flooring experts and commitment to our customers is simply the best in Lee County. Stop in to see us and see for yourself! We can help your home or business with any flooring installation or interior design needs. Carpet can be a fantastic addition to any home. 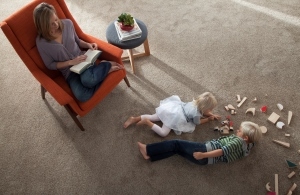 We offer all types of carpeting, from cut pile to loop pile to anything in between! Choose from a wide variety of hardwood flooring options, in both solid and engineered. We offer the standard oak, hickory, maple, and cherry, as well as other types such as bamboo, walnut, and birch. Laminate flooring is available in several finish options. We have laminates that mimic the texture of hardwood, with the look of a variety of wood species and finishes. Many laminates connect using an interlocking tongue-and-groove system, so it can easily be repaired or changed. Vinyl is a versatile flooring option that can be installed over most standard wood, concrete or tile floors. It is installed as either sheets, tiles, or planks, and is available in many color and pattern options. Ceramic tile comes glazed or unglazed, with a wide variety of available color, texture and pattern options. Ceramic tile is known for it’s durability and is great option for areas in your home with high foot traffic or areas that are frequently exposed to spills. Porcelain is a type of ceramic tile, but it more dense, moisture-resistant, and stain-resistant. They come in glazed and unglazed varieties, with many color options to choose from. Backsplashes can add a pop of color and style to any area of your home, but are commonly found in bathrooms and kitchens. We have several pre-patterned backsplash options or you can build you own look to fit your unique style. We can cut and fabricate rugs to fit your specific room. We have a wide variety of carpet styles, as well as color and pattern options from which you can select the perfect rug for your home. If you ever need flooring go see Kirkley Floor Covering in Auburn. Their staff and Installers are excellent. They show Pride in their work and want to make sure you are completely satisfied. Wonderful group of people that are very professional and caring. They did a great job and stayed with the bid quoted. Would definitely use them again. I have a small three bedroom garden home. Kirkley removed all the existing carpet and installed Shaw laminate in all rooms except baths and kitchen which were already tiled. I was pleased with the work and the Kirkley employees were very patient and helpful with all the moving around of furniture. They even managed not to have to unplug my computer connections which I would never been able to put it back correctly by myself! Most helpful was Melissa who helped me to choose the color and pattern of the flooring. The number of choices was huge and she managed very patiently to help me choose. I’m very pleased with the work and have recommended Kirkley to friends.